OSHA regulations require compressed gas cylinders to be secured from toppling when in storage or in use. The devices shown here will help you comply with these regulations. This cast aluminum cylinder holder provides an easy way to secure cylinders to a wall, in a gas storage cabinet,or other stable surface.The holder is attached with bolts or lag screws using the pre-formed holes 7 inches apart. The holder can be used with cylinders from 4 to 14 inches in diameter. Cylinders are held firmly in place with a nylon strap fitted with a sturdy buckle, with an optional steel chain and hook, or both strap and chain. This holder is designed to prevent toppling of cylinders when they are next to a lab or work bench and cannot be secured to a wall. 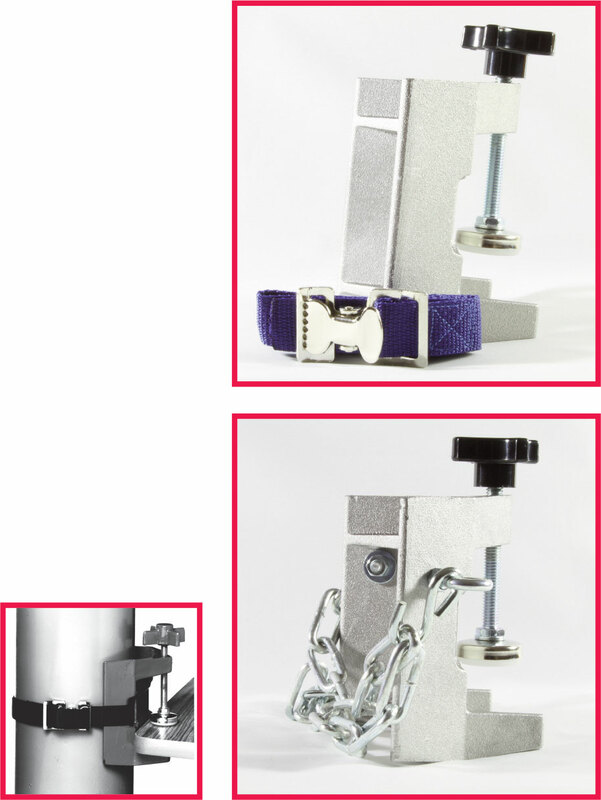 The special screw clamp holds securely to a table top without marring the surface. The holder can be used with cylinders from 4 to 14 inches in diameter. 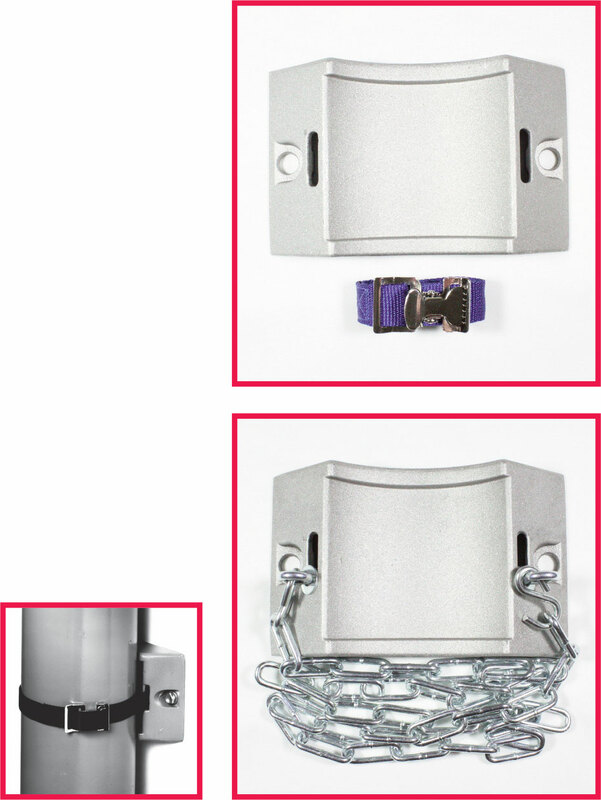 Cylinders are held firmly in place with a nylon strap fitted with a sturdy buckle, with an optional steel chain and hook, or with both strap and chain.